Question: if someone would suddenly rush up to you to ask you: ‘<insert name>, what are you actually good at in life?’. What would you answer? I’ve thought about it. And for me, one of the things that I’m actually very, very good at - and it’s unfortunately not something to be proud of - is… procrastinating. Some examples. Procrastination on studying for an important test, which makes me have to set my alarm at 2AM to study all night long (in order to save myself from total failure). Procrastination on leaving my house, which makes me running late everywhere I go. And procrastination on buying a descent leather bag, which made me walk around for almost 4 years (!) with canvas bags like a hobo. About that last one. Some people might see buying a bag as a moment of joy. I do not. 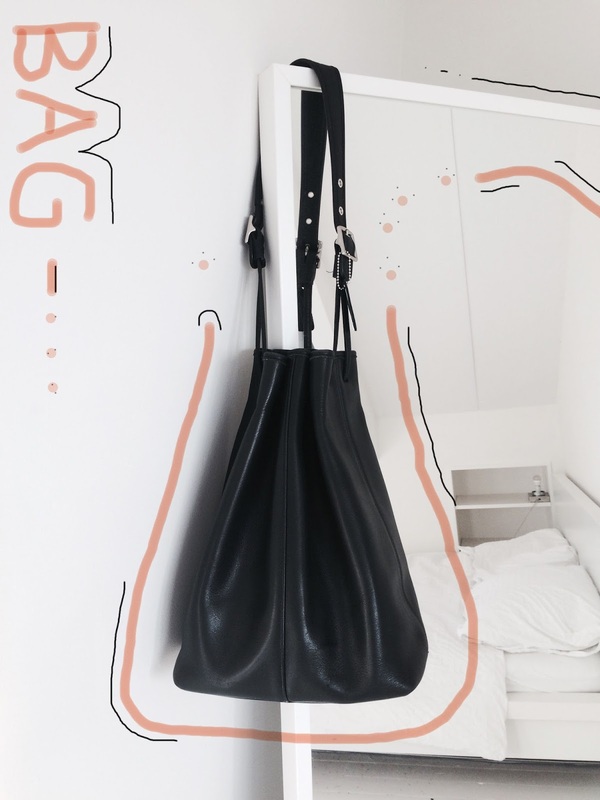 Buying a bag - or actually the preceding never-ending search for that bag - is horror with a big H. Because you’ll wear the bag practically every day, it has to suit you perfectly. The color, the model, the quality, the amount of space - everything matters. And finding that perfect bag my friends, is a hell of a job. So the procrastination begins. Fortunately, once upon a time there was a brand named COACH, who decided to make a few duffle bags back in the 80s. And fortunately, an American woman had bought one of those bags but decided in the summer of 2016 that she should sell it on eBay because she had never worn it. And fortunately, I looked coincidentally on eBay and it was love at first sight. And from that moment, we decided to spend the rest of our lives together. No more canvas bags for me. End of story. "What kind of bag do you prefer? To give your look a style statement, you should always pick good on accessories and bag is one of them. There are various types of bags to which people are not even aware of; this will make sure you wear them correctly. Roller/spinner suitcases would be a smart move towards your travel diaries. They are spacious as well as easy to go travel bag. Whether you have to go for mountain trip or for your foreign trips these are the best to choose. Choose a durable and waterproof roller, good for maintenance. Check for high-quality wheels and handles to it. Wear your totes with shirts or long dresses, gives you a smart look. Totes are spacious to keep your everyday products. Accessorize your totes with stripes and sneakers, will give you a cool chick look. There are multiple brands which deliver you the best of their company. Brand GUESS is well known and famous for their bags. They have a wide variety of range in different-different bags. Michael Kors, another high brand, with spacious and sling bags which gives you a style statement." Please have a look at some of my recently published blog over "Fashion Trends 2017 ?"